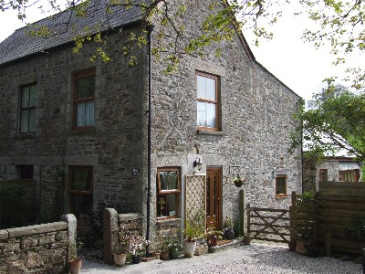 Our three bedroomed Holiday Cottage accommodates up to four guests. All of our rooms are fitted with quality furnishings and decorated to a high standard for your comfort. The relaxing lounge with its cottage suite and Free multi-channel satellite TV is extremely comfortable. There is a selection of local tourist books, walking and garden books or even a good novel to help you relax. On your arrival at Huel Tristram a Traditional Cornish Cream Tea awaits you together with a Complementary Starter Pack which includes; Tea, Coffee, Sugar, Fresh Milk, a Fresh Loaf, Butter and a Cleaning Bundle. Huel Tristram is a Four Star graded, Traditional Cornish Country Cottage. It is tastefully furnished to the highest standard and very well equipped throughout. Located just on the outskirts of St.Austell, the heart of the Cornish Riviera on the south coast of Cornwall, in the peaceful village of Tregrehan. We are perfectly situated close to The Eden Project, The Lost Gardens of Heligan, Historic Charlestown and Mevagissey but to mention a few.